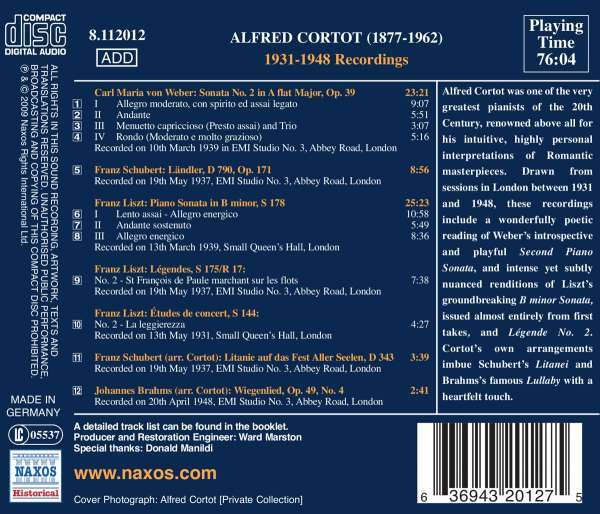 Der Artikel Alfred Cortot - 1931-1948 Recordings wurde in den Warenkorb gelegt. 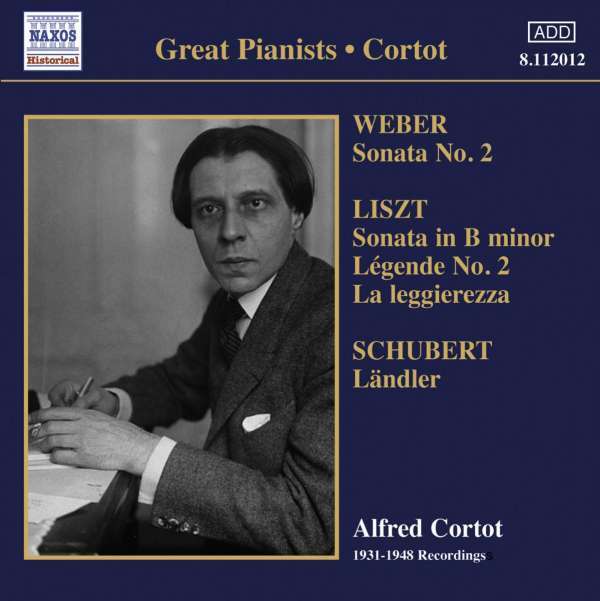 Alfred Cortot was one of the very greatest pianists of the 20th Century, renowned above all for his intuitive, highly personal interpretations of Romantic masterpieces. Drawn from sessions in London between 1931 and 1948, these recordings include a wonderfully poetic reading of Weber's introspective and playful Second Piano Sonata, and intense yet subtly nuanced renditions of Liszt's groundbreaking B minor Sonata, issued almost entirely from first takes, and Légende No. 2. Cortot's own arrangements imbue Schubert's Litanei and Brahms's famous Lullaby with a heartfelt touch. Hörprobe Track 10: 3 Etudes de concert, S144/R5: No. 2 in F minor, "La leggierezza"
Alfred Cortot: 3 Etudes de concert, S144/R5: No. 2 in F minor, "La leggierezza"